Rita Coolidge is an American singer. 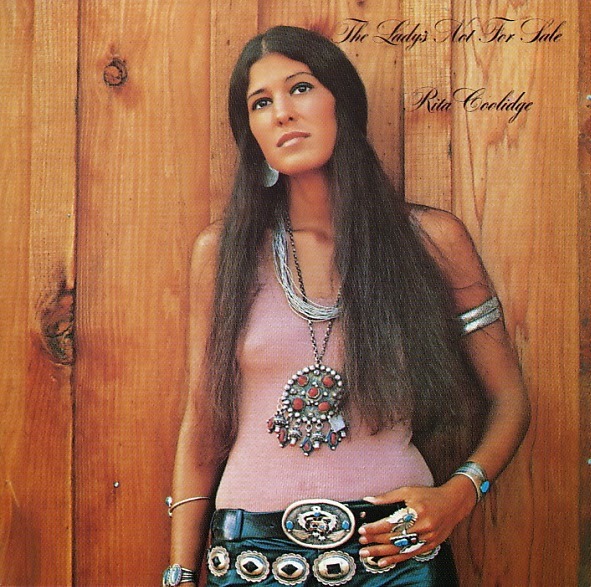 Rita Coolidge's third solo album came out in 1972, another great laid-back mix of blue-eyed soul and country. Backing came from core group of Charlie Freeman (guitar), Mike Utley (keyboards), Tommy McClure (bass) and Sammy Creason (drums), known as The Dixie Flyers. Other musical guests included Marc Benno, Al Kooper, John Sebastian, Carl Radle, Bernie Leadon and Al Perkins. The album featured a good selection of songs, mostly covers, including Leonard Cohen's "Bird On A Wire", Bob Dylan's "I'll Be Your Baby Tonight", Little Willie John's "Fever", the title track by Kris Kristofferson (who she was in a relationship with and would marry the next year), plus "A Woman Left Lonely" by Dan Penn and Spooner Oldham, and "Everybody Loves A Winner" by William Bell and Booker T Jones (a gem of a song that had already been recorded by both Bell and Delaney & Bonnie and Friends). There were also two songs by guitarist Marc Benno. Like the two that preceded it, the album did not light up the charts, despite its strengths. Though technically it did do somewhat better, creeping up to #46 on the national album chart, and the single release of "Fever" getting to #76. Sorry that this is not related to this album. But do you have any Incredible String Band in your extensive collection as I would love to hear some. Hope you can help. Many thanks. Please can you post the album "Leather and Lace" by Waylon Jennings & Rita Coolidge (1981)? Let me know please.... Thanks alot in advance and many congrats for your wonderful blog! !